Turn a typical campfire experience into a veritable feast. 4-position rotisserie makes sure each part of your cooking project is heated to perfection. No burned side, no undercooked side. Get just the right distance between your fire and your food. Whip up delicious slow-roasted chicken, brats, burgers, and more. 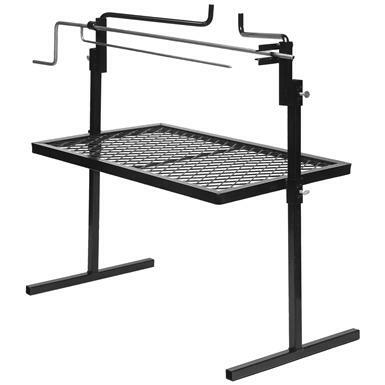 Grill Surface Dimensions: 16" x 24"
Texsport Rotisserie Grill and Spit is rated 5.0 out of 5 by 5. Rated 5 out of 5 by Gloria from Great Have been wanting it for awhile and now we got it. It works great in our outdoor kitchen. Cooking outside is the best thing. Food taste so much better when cooked on an open fire. I suggest if a person don't know how to cook outside or have never tried it might want to start. You never know what will happen in the future. I am a country girl so I am always prepared. Rated 5 out of 5 by gramps 1 from well built and good price perfect for cooking and liked safety locks to prevent slippage. Rated 5 out of 5 by Mrarcher1991 from Awesome grill Awesome grill. It's adjustable height makes it really the bomb for camping. 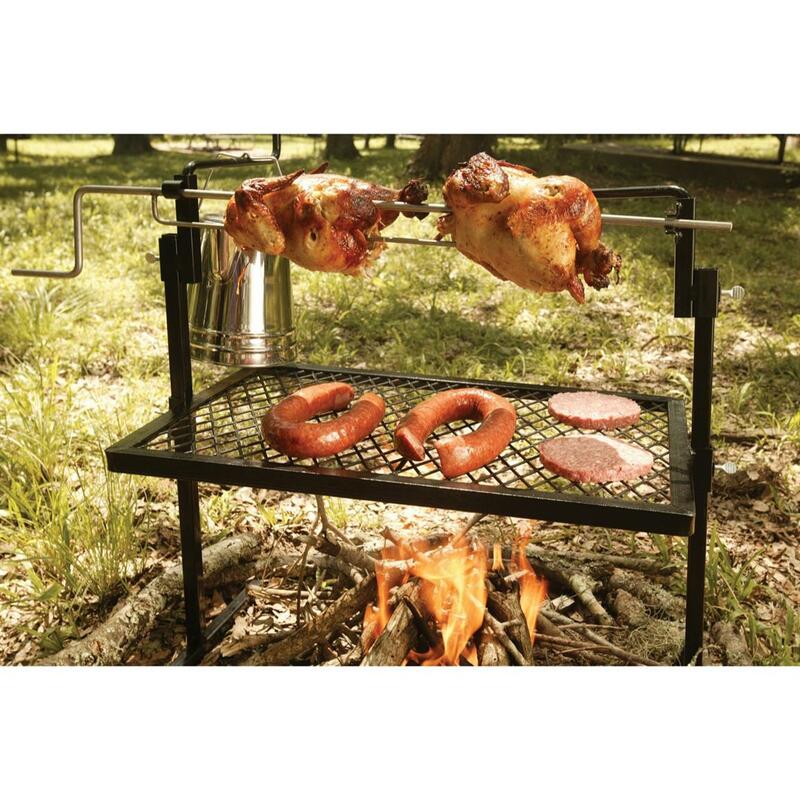 Haven't used the rotisserie yet but I can see any reason it wouldn't be as great as the grill. Great product coupled with great price. Rated 5 out of 5 by SCOTT from I like this set. It has a good campfire use capability, it is stabilized and holds up well. Cautionary note - use this over a small fire. Build the campfire around the grill and you will have less challenges.